These 10 must-try easter crafts for kids are so much fun! They encourage creativity, are great for sensory stimulation, and help to develop fine motor skills! Eater bunnies, easter eggs, easter dresses! So much fun! 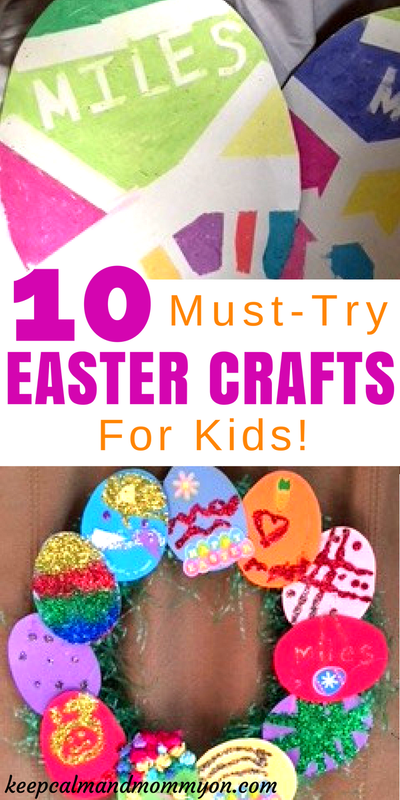 These 10 Easter crafts ideas are great to make with your kids! Some of them are very easy easter crafts for kids and others require a little more time. So whatever you are looking for you have plenty of options! 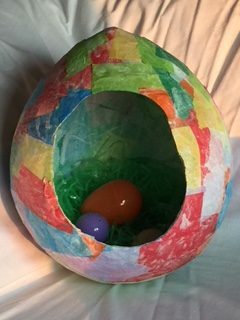 My kids had such a blast making these paper mache eggs! And they are super cute! They are quite large, about a foot tall, and make a great easter decoration to display in your home! This is great for kids of all ages, even my three year old made one! 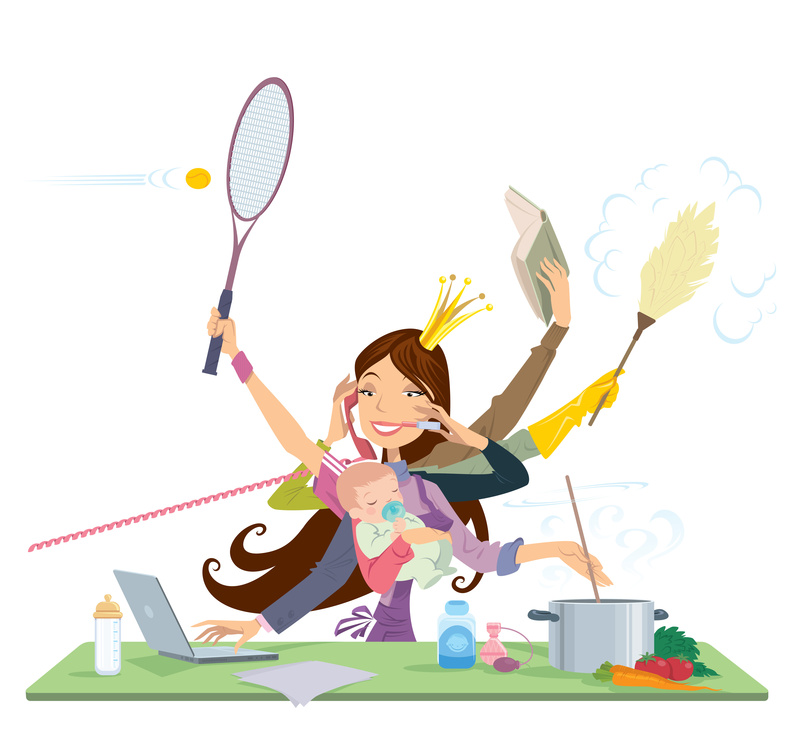 However younger kids will definitely need help and supervision. What a great easter craft to do together! Doily Sheep Craft For Kids! This doily sheep craft is absolutely adorable! This is definitely a great craft to do with young kids. And I love that it doesn’t require a lot of materials! Not only is it a craft that kids will love, but you probably have the materials to make it already! Visit Easy Peasy and Fun to see this super cute craft and for detailed instructions! Bunny & Carrot Footprint Crafts For Kids! I absolutely adore these footprint crafts! I definitely want to make these with my kids! What a great way to preserve those little footprints! I think the carrot is my favorite:) Which one do you like best? Visit One Krieger Chick to see them and to find out how to make them! 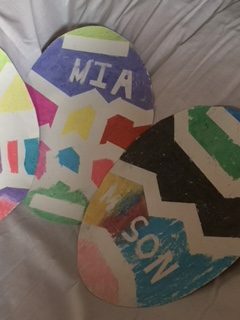 Wet Chalk & Tape Easter Egg Crafts! 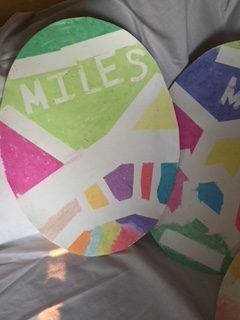 My kids loved making this easter egg craft! Isn’t that a really neat idea?! They had so much fun making their own designs and of course playing with chalk! What kid doesn’t like chalk?! Whether they are drawing on the driveway or using wet chalk to make cardboard easter eggs, it’s a blast! Visit Mom To Two Posh Lil Divas to find the complete directions! Printable Easter Bunny Silhouette Easter Craft! This is also a great easter craft for kids! And, it includes a free printout to make creating this cute craft even easier! I can’t wait for my kids to make this so that I can hang it on the fridge or frame it! Head on over to Easy Peasy and Fun to get the free printout! Chick and Lamb Easter Craft Ideas! I am loving these chick and lamb easter crafts for kids! This is another project that you probably already have everything you need to make it lying around the house! Paper plates, cotton balls and a few other materials are all you need to make this super cute easter craft! Check out how cute they are and how to make them at Vicky Barone! Simple Finger Paint Easter Craft! This simple yet adorable finger paint craft is a must this easter! Kids of all ages will love making this adorable colorful bunny rabbit! Sarah in the Suburbs has the instructions for making this easter craft! Go see for yourself how cute it is! This is one of my favorite easter crafts! How cute is this wreath?! My kids had so much fun making this! 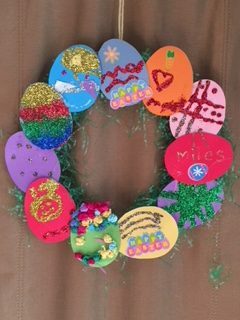 They get to design each egg on the wreath however they want. What a great way to promote creativity and encourage imagination! Find out exactly how to make this wonderful easter egg craft at the All Kids Network! Paper Plate Easter Bunny Craft! These paper plate easter bunnies are also great for all ages! This is a simple, low mess craft that can be made pretty quickly. Add this to your easter craft to do list for a quick, but super cute, easter craft to make with the kids! 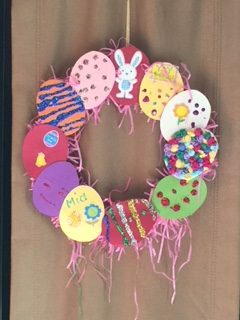 This easter craft comes from The Best Ideas For Kids. Handmade Potato Easter Egg Stamps – Eater Crafts For Kids! These potato easter egg stamps are genius! What a great, easy, frugal easter craft! My kids will LOVE doing this! This great idea is from Premeditated Leftovers. What do you think? Am I right? Is this not a great idea?! I hope you enjoy making these awesome easter crafts! Which ones are your kid’s favorites? 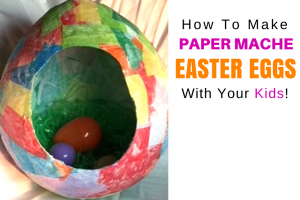 « How To Make Paper Mache Easter Eggs!